Experience something that doesn’t happen anywhere else in the Western Hemisphere! 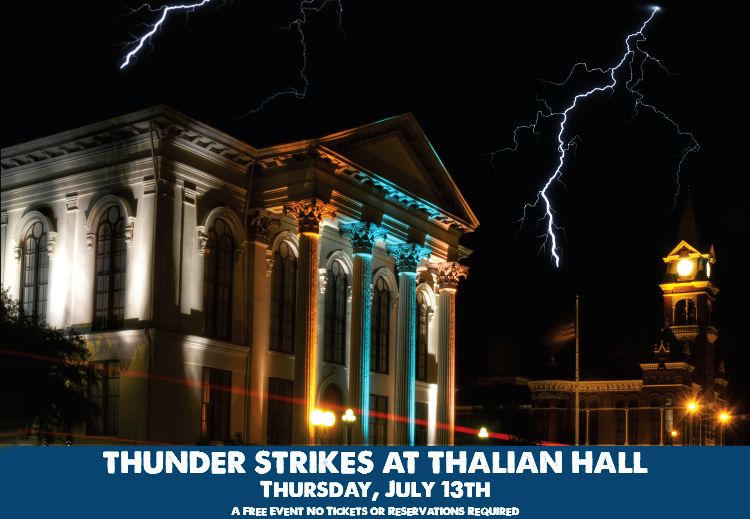 A thunderstorm with crashing rain will descend upon Thalian Hall on July 13th. This roaring storm will happen inside the historic theater! Thunder Roll is an experience of a lifetime and you can see if for free! Catch a 20 minute presentation where you’ll learn how the sounds come to life. Executive Director Tony Rivenbark will be performing The Storm Speech from Shakespeare’s King Lear.